Call 623-428-0267 to schedule your first appointment. When you want to know more about hearing aids in Sun City, AZ, come to Miracle-Ear®, the most recognized brand of hearing aids in America. Our hearing care specialists will patiently answer your questions and describe the capabilities of our products. Modern microtechnology allows our hearing aid users to experience sound in noisy environments better than people with normal hearing. We've incorporated industry-leading advancements into all of our models, including ones with our new GENIUS™ Technology. For example, GENIUSfocus will zero in on the sounds you want to hear, such as people talking to you, and reduce the distracting background noises you don't care for. At the same time, VoiceTarget 360 supports sound detection from all directions. This will make it possible for you to carry on conversations with multiple people around you. As a Miracle-Ear® customer, you'll also have access to ongoing support including checkups, repairs, and battery replacements. Support will also be available when you travel—our independently owned and operated center is part of a network of more than 1300 locations nationwide. In addition to Sun City, our hearing aid center serves El Mirage, Youngtown, Peoria, and Surprise. To begin a journey that may better help you maintain a social life and interact with your family, call us today. 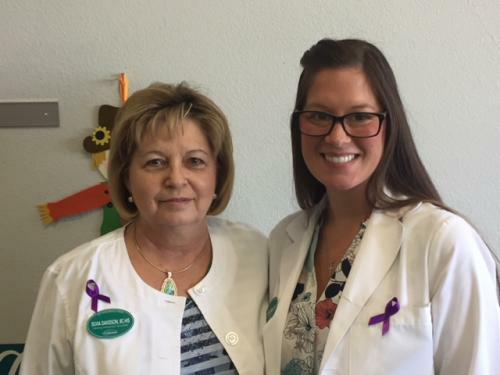 Silvia Davidson and Ana Mavris, two of our Hearing Care Professionals, have teamed up to represent Miracle-Ear Sun City at the 2018 Walk to End Alzheimer's! 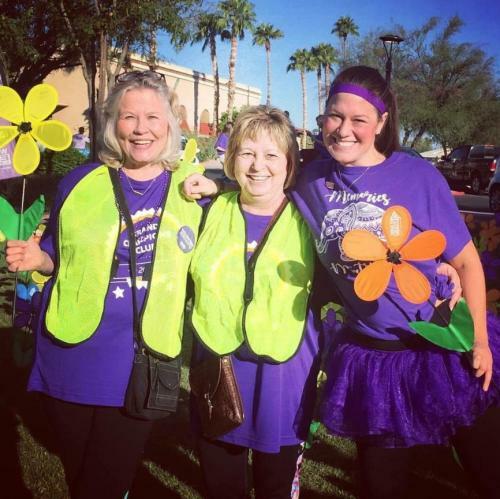 Click here to join our team or make a donation to help fight Alzheimer's disease. 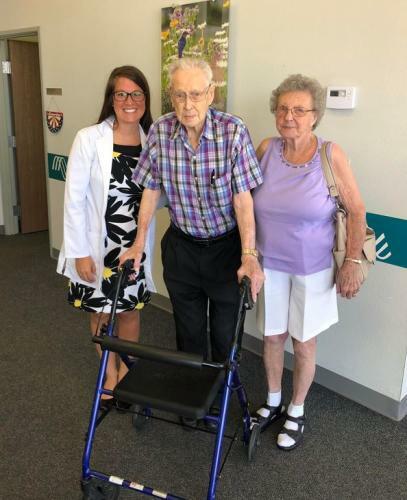 Sun City celebrates over 70 years of sound with Orin Stager (age 106), a long time Miracle-Ear client. 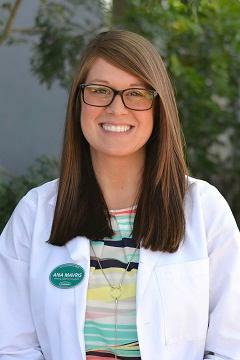 Ana has been a licensed Hearing Instrument Specialist since 2014. JoAnna is an Arizona State Licensed Hearing Instrument Specialist and National Board Certified in Hearing Instrument Sciences. She is also licensed by the State of Arizona. Ana has been Miracle-Ear Certified since 2014. She is a member of the International Hearing Society as well as the Vice President of Hearing HealthCare Association of Arizona. Having the opportunity to change people's lives everyday by giving them the gift of sound! 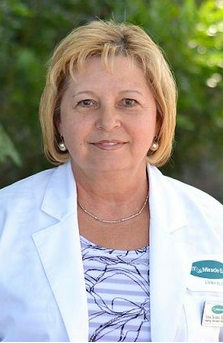 Silvia has over 26 years of experience as a hearing instrument specialist with Miracle-Ear and has 7 years of experience in hearing aid manufacturing. Silvia is National Board Certified in Hearing Instrument Sciences. 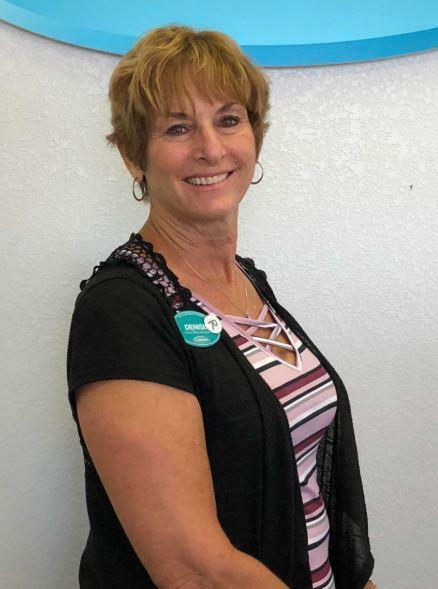 Silvia is a hearing aid dispenser licensed in AZ, she is also a member of the International Hearing Society and Hearing Healthcare Providers of Arizona. Silvia has won the prestigious Charles Holland Award as well as the Mark of Excellent award (2015). She is also Miracle-Ear Certified. Silvia loves seeing the change that improved hearing has on people's lives! 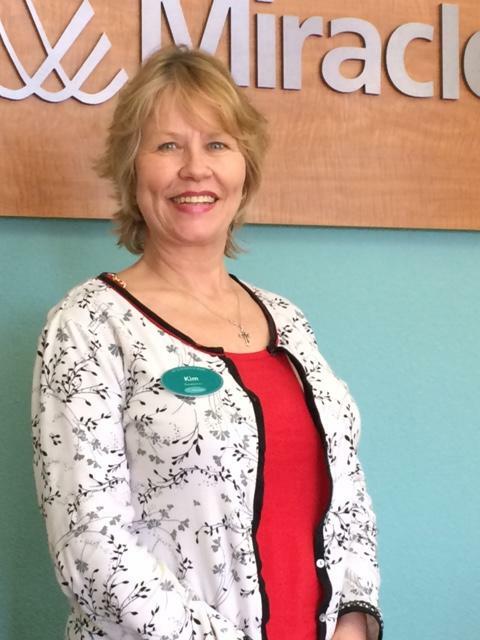 Kim has 16 years of experience as a Front Office Assistant. She is Miracle-Ear Certified. Kim receives Front Office Certification from Miracle Ear every year. She has won Receptionist of the Year two times and has won the Charles Holland Award for one of the best stores in the USA. I have been in the customer service industry for over 20 years. I have been with Miracle-Ear since April, 2018. I enjoy working with the hearing impaired and hearing each clients success stories of hearing. I look forward each day coming to work with this great team.